A person’s passion can drive him to greatness or insanity. But in the case of these videos it may be a little of both. Giving the AMV fan-treatment to the relatively small Armored Core fandom requires persistence, patience, and some talent. All those definitely show in the videos below. First is a 2D short animated feature based on the duel between the ACs Stasis and White Glint from Armored Core: For Answer. 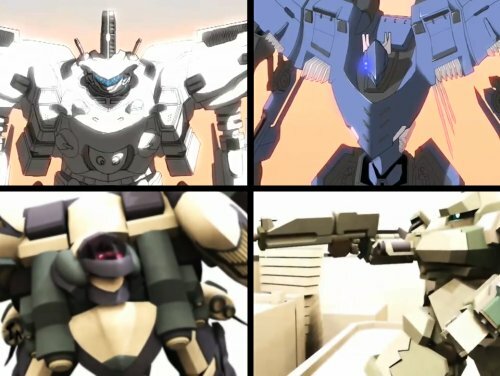 The second is a remake of the original Project Force trailer that soon became known as Armored Core 4, but this one features super-deformed versions of their original Armored Core counterparts as well as guest appearances by ACs from Last Raven. All credits go to the original creators of the videos, whoever you are. So that's how WG took out Stasis when they went into the background during that fight.